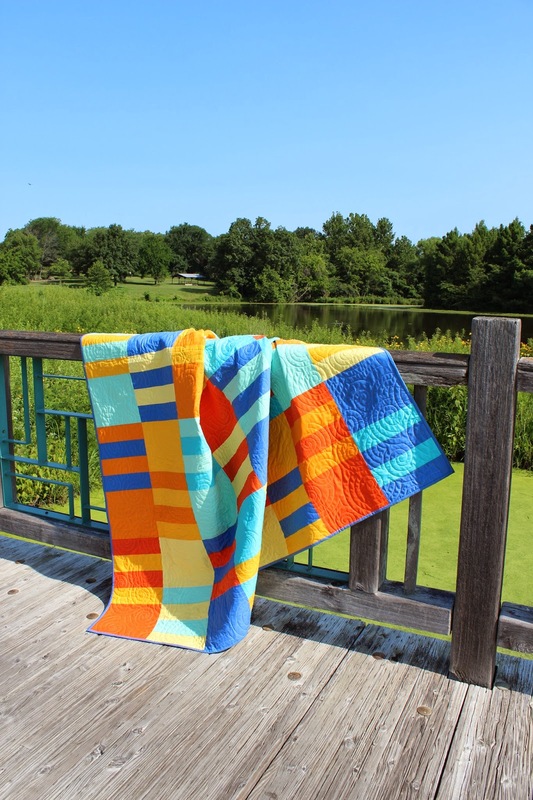 I'm excited to share some photos of a quilt of mine that appears in Stitch magazine. You can find the pattern for Board Shorts in the summer issue. 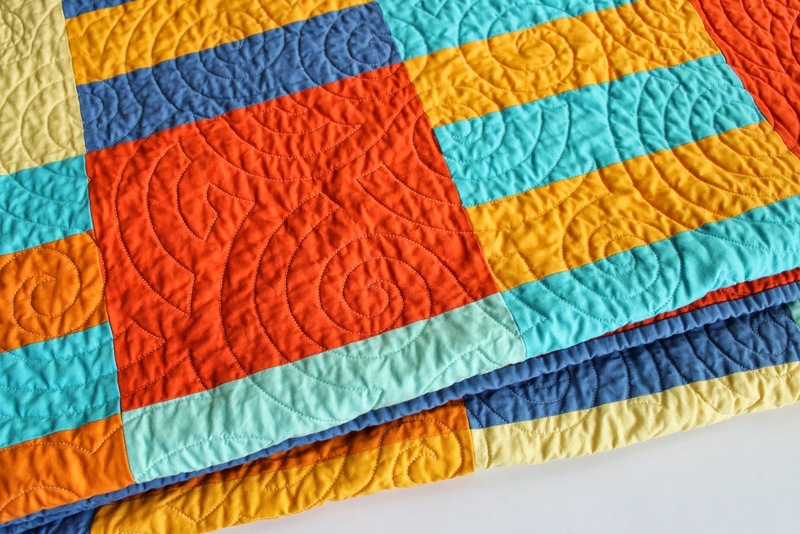 It's a very simple quilt pattern, quick to piece, and perfect for beginners. 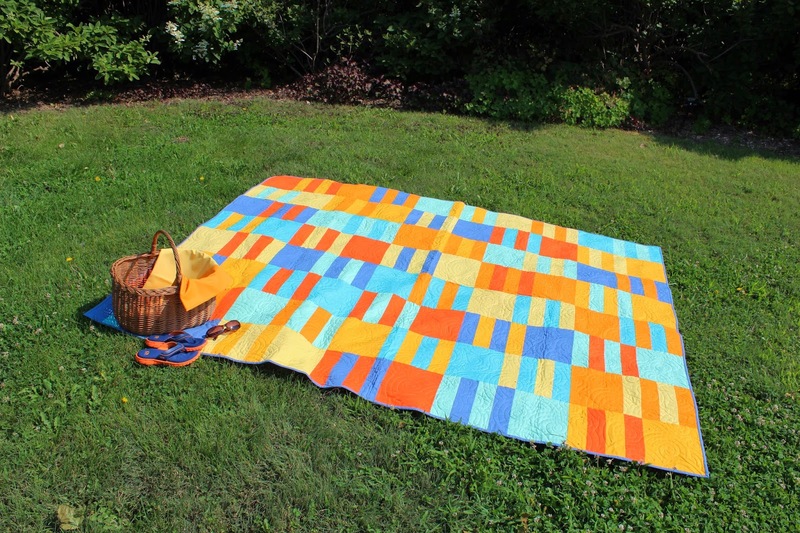 This twin sized quilt (70" x 87.5") was inspired by the striped board shorts surfers wear. 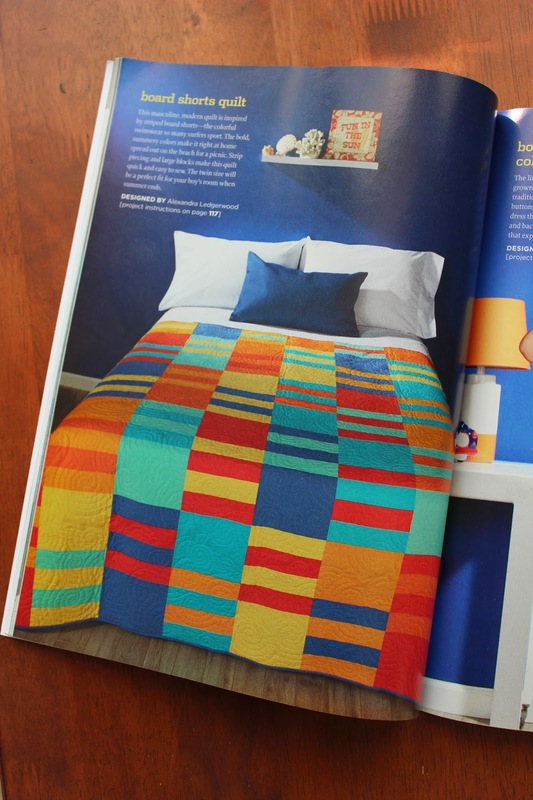 The Boys of Summer section of the magazine has some nice beachy, masculine projects including mine. I love the summery color palette. 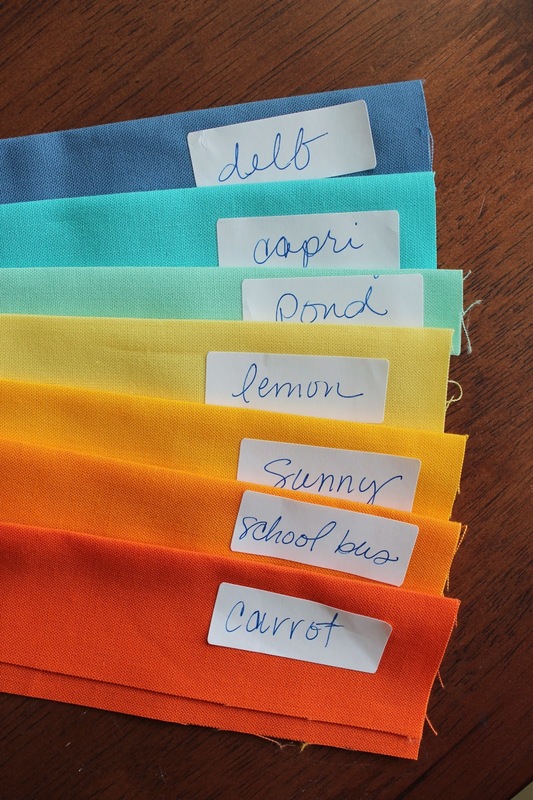 All Kona cottons, I found all the colors I needed at Marmalade fabrics. Thanks again to Tammy for letting me come over and try out a zillion combinations. I love how she labels the Kona color names. So handy! 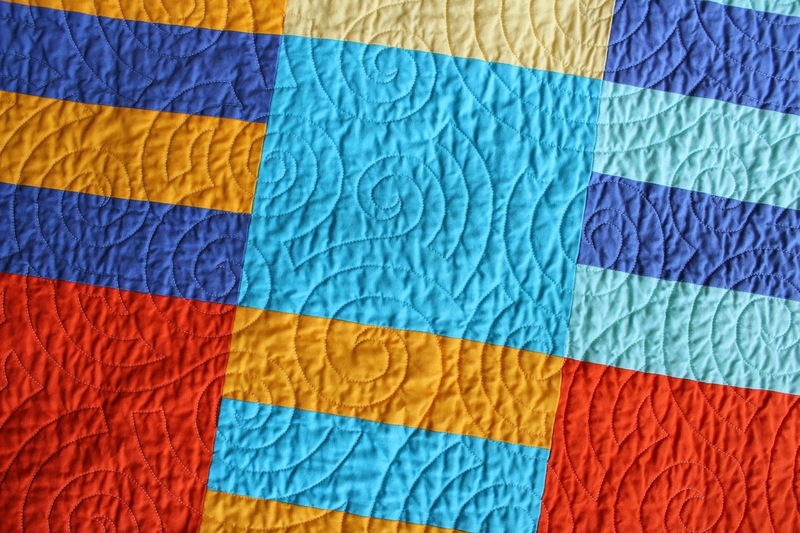 The quilting was done by Tia Curtis in an all over design. 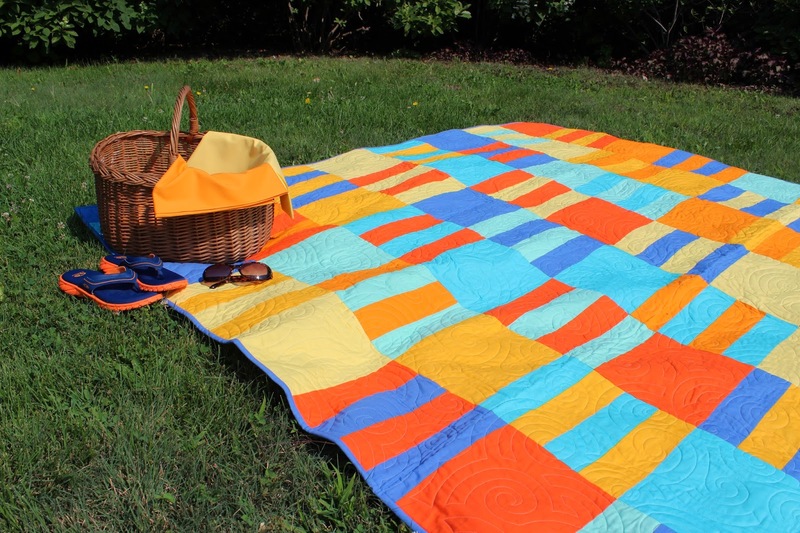 The quilt is perfect for a twin bed, dorm room, or picnic blanket. It is available now in my etsy shop.